Earth. What more is there to say about it that hasn’t already been said? She has been the only home we have ever known, in the wide unknown of the universe. It is a single blue light in adrift in an endless sea of stars. We are the caretakers of this world and its sustainability falls on each of us. 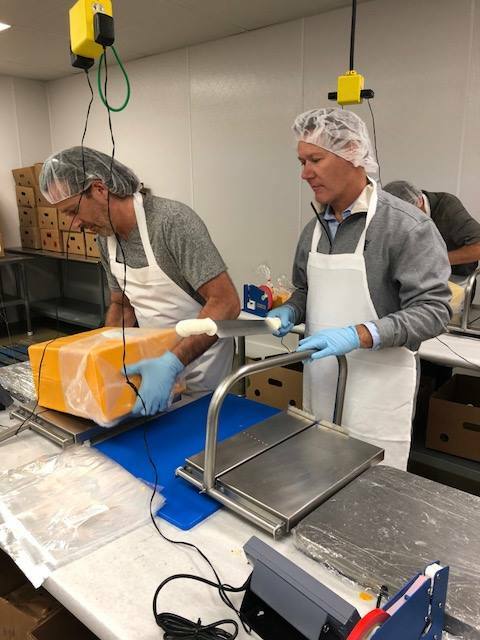 Food Warming Equipment Company understands the challenges facing our home and takes part in several initiatives to do our part in protecting this planet. One of the lesser known benefits is our reduction in IT Server space. We took several physical servers and consolidated them onto a Virtual Machine. This allowed us to reduce our server space by 3 times! Even better, our employees can access the server remotely by using a virtual desktop, reducing the amount of waste at the end of a piece of hardware’s life cycle. FWE uses recyclable corrugated board. We also work with Vendors to reduce the amount of packaging required to get products delivered safely. Over the years, FWE has experimented with the reduction of our packing materials to safeguard the environment while assuring product to market requirements. In addition to corrugated board, FWE cycles containers, boxes, paper goods, wood, shipping skids, and metal. FWE has given or planted over 350 trees through its effort of Corporate Social Responsibility (CSR) and has reduced the company’s overall impact on the environment through the reduction of greenhouse gas emissions outside the four walls of the factory. As most manufacturing facilities know, paperwork is an essential requirement to keep production organized and timely. Leading edge factory techniques have given birth to an in-house hyper “E-manufacturing environment” at FWE we have reduced paperwork and drawings in the factory by 99%. While no organization is completely paperless, FWE has taken considerable effort in reducing its paper needs to only a fraction of what would have otherwise been used in a traditional manufacturing facility. 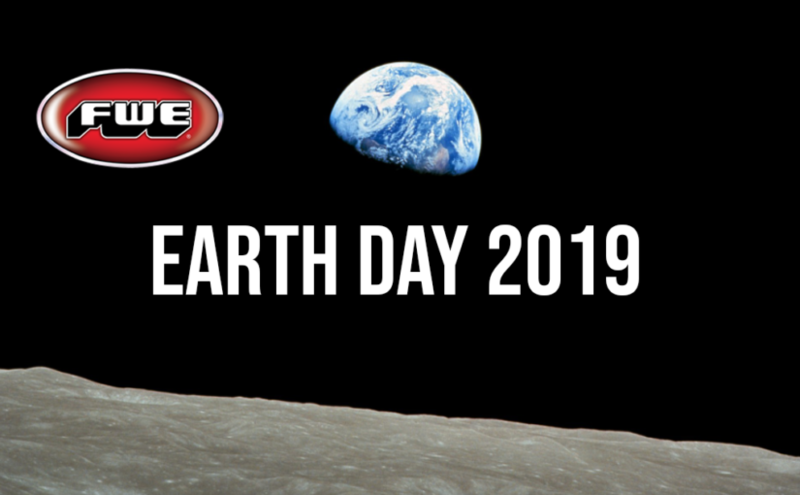 Visit our Community and Sustainability page, here, to learn more about how FWE gives back the planet that has given us so much. 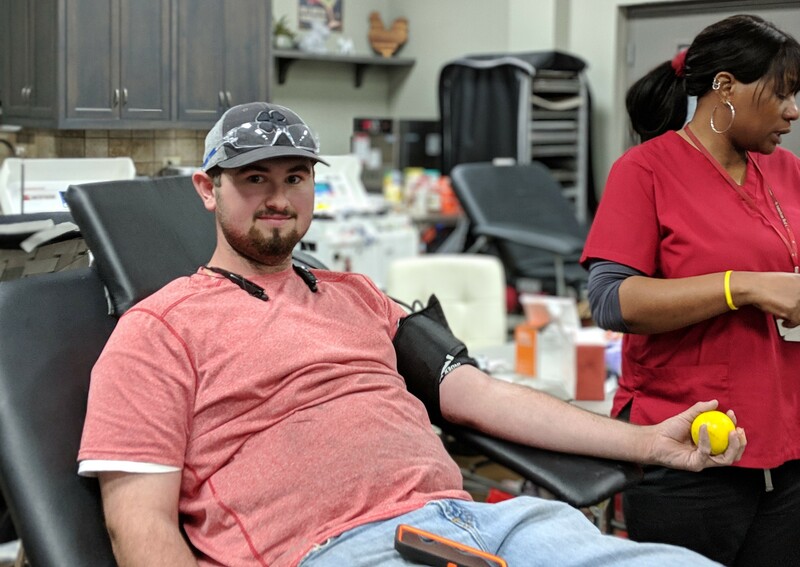 On Wednesday, November 7th FWE hosted our very own Blood Drive with the help of the American Red Cross staff in Portland, TN. 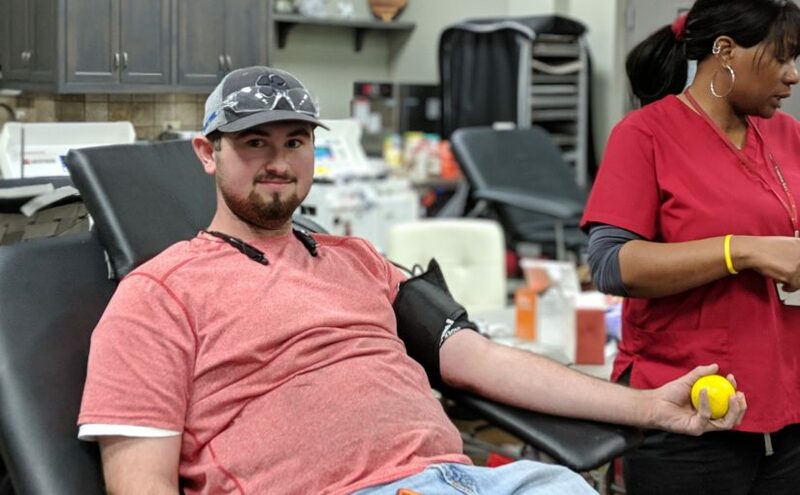 We had 17 employees participate in the blood drive yesterday, in 2018 alone we have donated 76 units of blood. we’re so proud of everyone who gives to this great cause. The blood that has been donated will be used during blood transfusions that are given to patients in a variety of circumstances such as serious injuries, surgeries, childbirth, anemia, blood disorders, cancer treatments to just name a few. The American Red Cross ensures that your donated blood “journeys through many steps and tests that ensure [their] blood supply is as safe as possible and helps as many people as possible”. Your willingness to donate blood helps save people’s lives every day, lives like our teammate, Brandon Justice. Brandon shared his survival story with us regarding a car accident that resulted in life-threatening injuries back in October 2017. 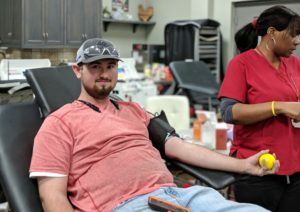 Brandon not only gave blood during FWE’s drive yesterday but encouraged many of his fellow coworkers to donate, too. 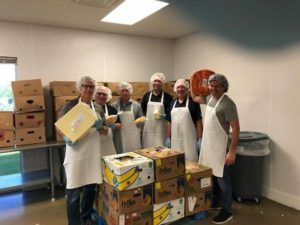 Helping those who need it is a big part of the culture here at FWE, we proudly encourage our team to give back when they can. If you are looking to find a blood drive near you, go to the American Red Cross page and type in your zip code where the “Find a Blood Drive” is located in the top right-hand corner. You can also apply to host your own blood drive, just like we did at FWE. 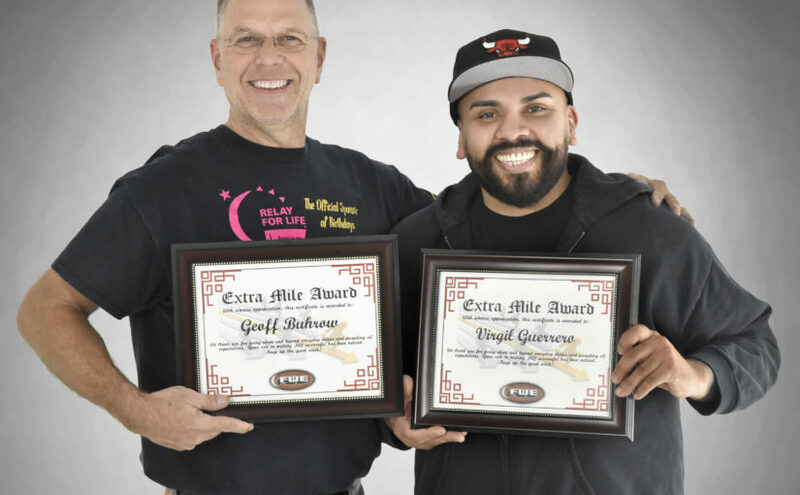 Please join FWE in congratulating our two newest recipients of the Extra Mile Award, Geoff Buhrow and Virgil Guerrero! 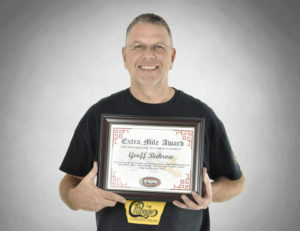 During the process of setting up the 3rd laser, Geoff put in many long hours, including work on Saturdays and Sundays. He went above and beyond the call of duty working with Amada to get the laser up and running. 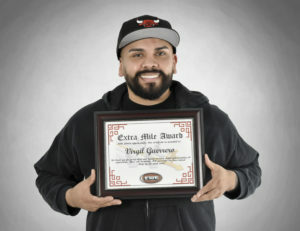 We feel his work to help bring this project to completion definitely qualify as an “Extra Mile” effort. FWE Inside the New JW Marriott Nashville! The newest luxury hotel in Nashville! Being able to help a customer realize their dream is what drives FWE to provide the best solutions in the business. 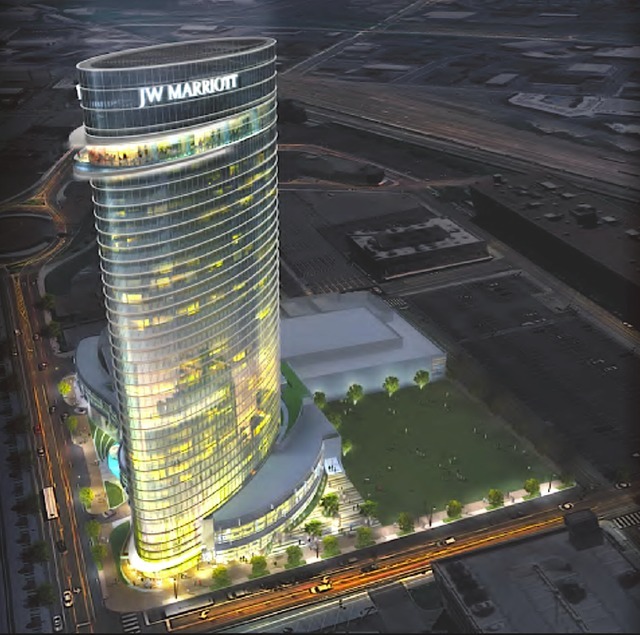 That is why we are proud to be a part of the newest addition to the Nashville skyline, the JW Marriott. This all new construction stands 33 stories above the Nashville giving guests a view of Music City that is nothing short of breathtaking. The newest luxury hotel in the Marriott family has a total of 533 guest rooms, three restaurants, a spa, and a 50,000 square feet event space. FWE is proud to have a place among its amazing and robust kitchen. 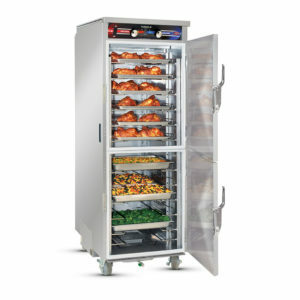 With our heated plate transport and storage cabinets, JW Marriott can ensure that your food will serve timely. 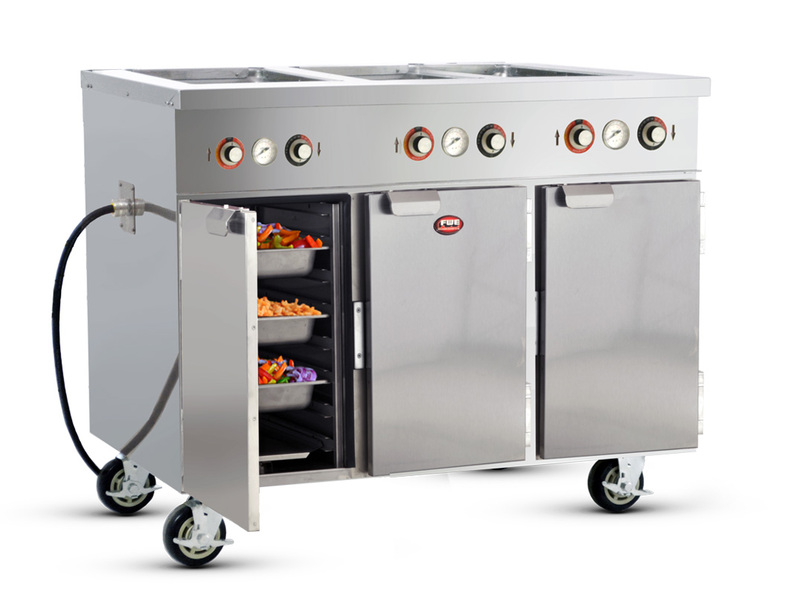 With an E-Z access rotating base, along with front door and flip-back top access, allows for easy loading and unloading of all dishes. We are excited to have shipped six of these storage cabinets to the JW Marriott. 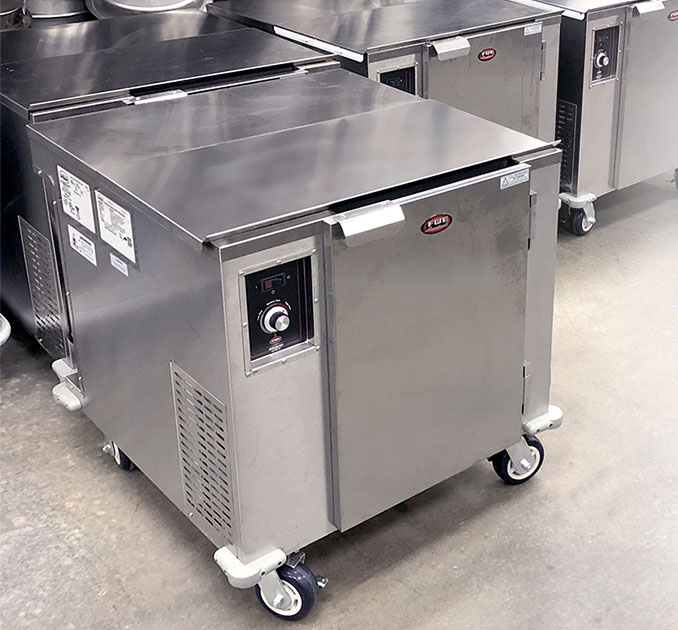 Ideal for hotel/resorts, banquet operations, and restaurant establishments, the heated rotary dish cabinets are built stronger and perform better than any other on the market today – period! Our unmatched design results in fast heat-up times and consistent plate temperature. Featuring a low profile design conserves valuable floor space by fitting under a 36″ counter; along with the high-quality stainless steel construction FWE is known for. 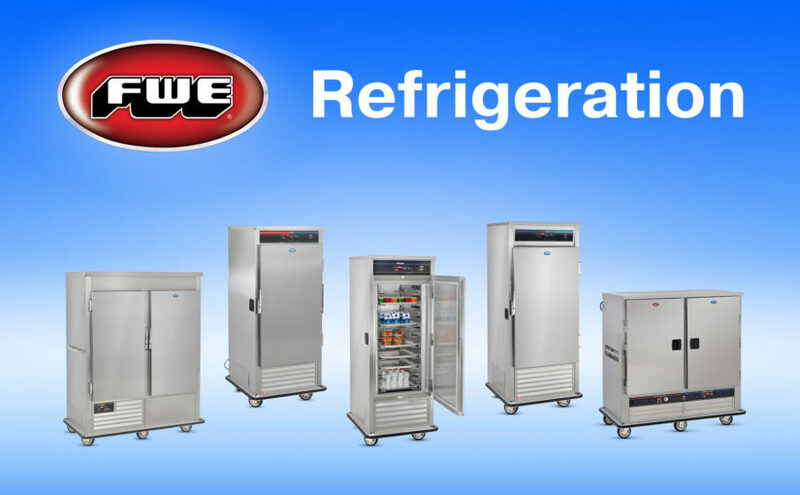 FWE has been delivering quality products since 1953 as part of our mission to provide our customers with the best products in the industry. Our ability to find solutions no one else can is what makes us essential for any kitchen. 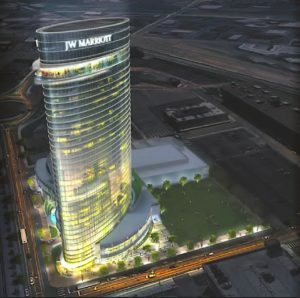 We are looking forward to seeing the guaranteed success of the new JW Marriott in Nashville! 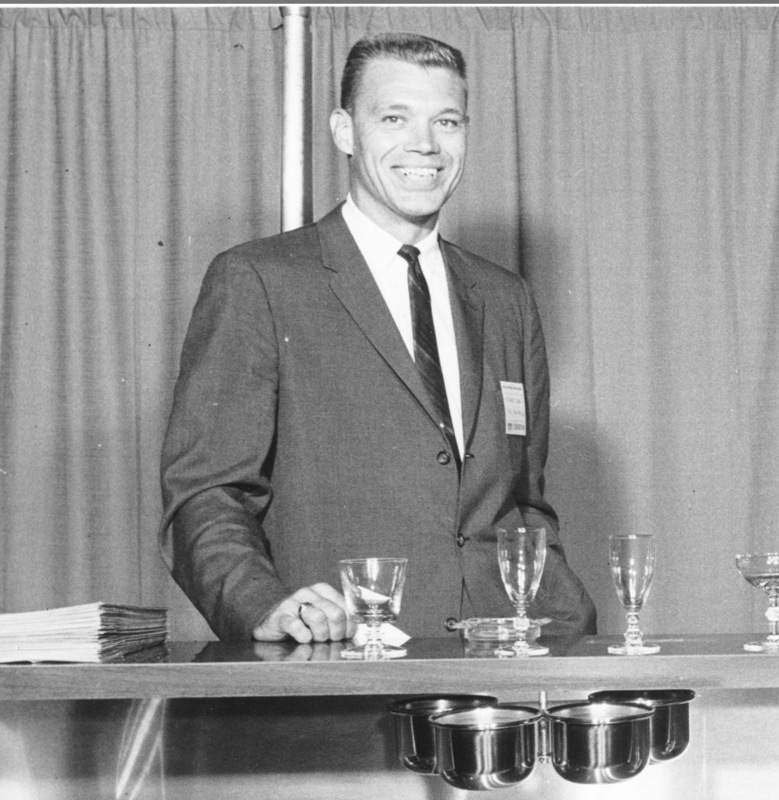 2018 marks 65 years since Food Warming Equipment Company was incorporated. In those years FWE has continued to stay on the forefront of the industry. An American business with international reach, FWE is always looking ahead. But, that does not mean we cannot look back at our history. 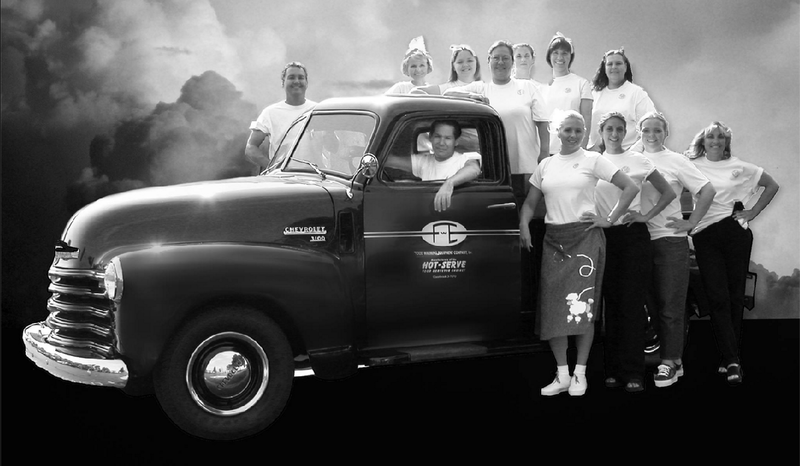 Founded by Oren E. Klemm in the mid to late1940s and it was Klemm who was the pioneer behind the famous “HOT SERVE” line of cabinets. 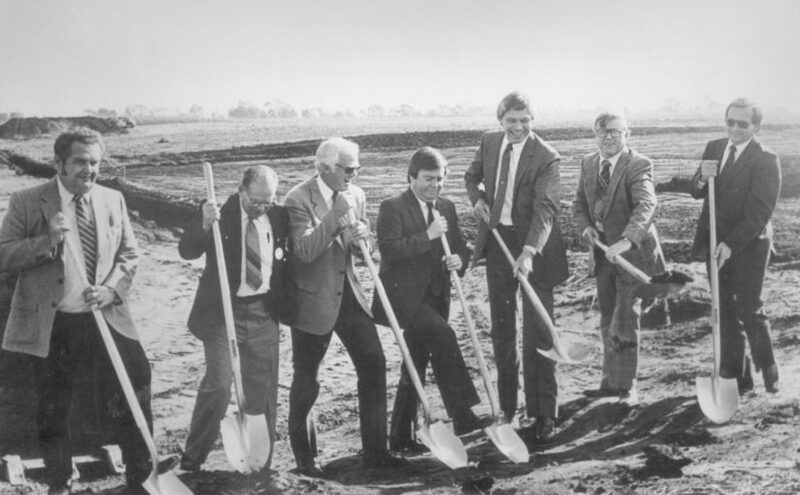 At the time, what would become FWE shared a home with Klemm’s main enterprise known as Peerless Water Filters, a water filtering equipment, and water tank manufacturer. 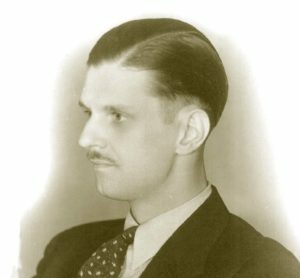 Former owner Richard Klemm, Oren Klemm’s son, recalls how his father altered the way we prepare food for the masses. 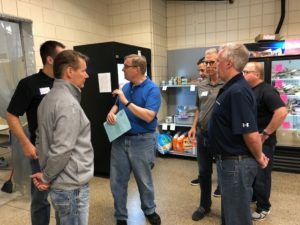 But with FWE’s Heated Holding Cabinets and the like, chefs could keep mass amounts of food hot and ready to serve so that everyone got to eat at once. The original risks set the perfect stage for 65 years and allowed FWE to be unafraid to continue to take those risks. At FWE we cultivate the brightest, toughest, and the most committed people around. It has been a great 65 years. Here’s to another 65 better years! 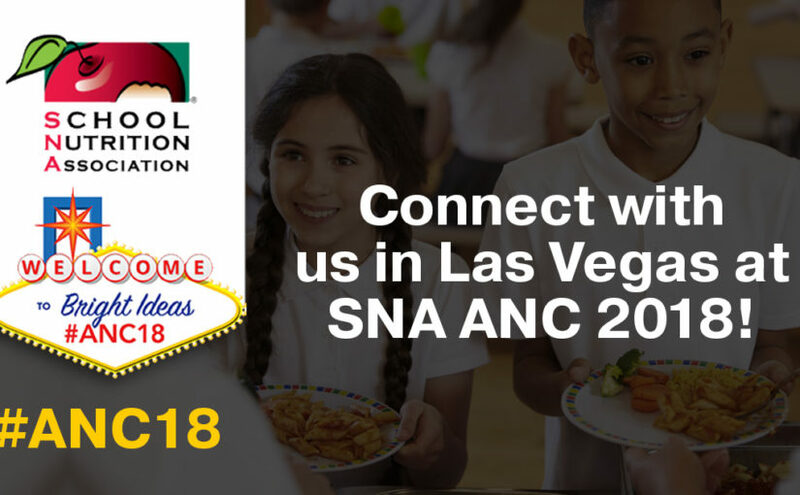 This year we are excited to return to SNA’s ANC! 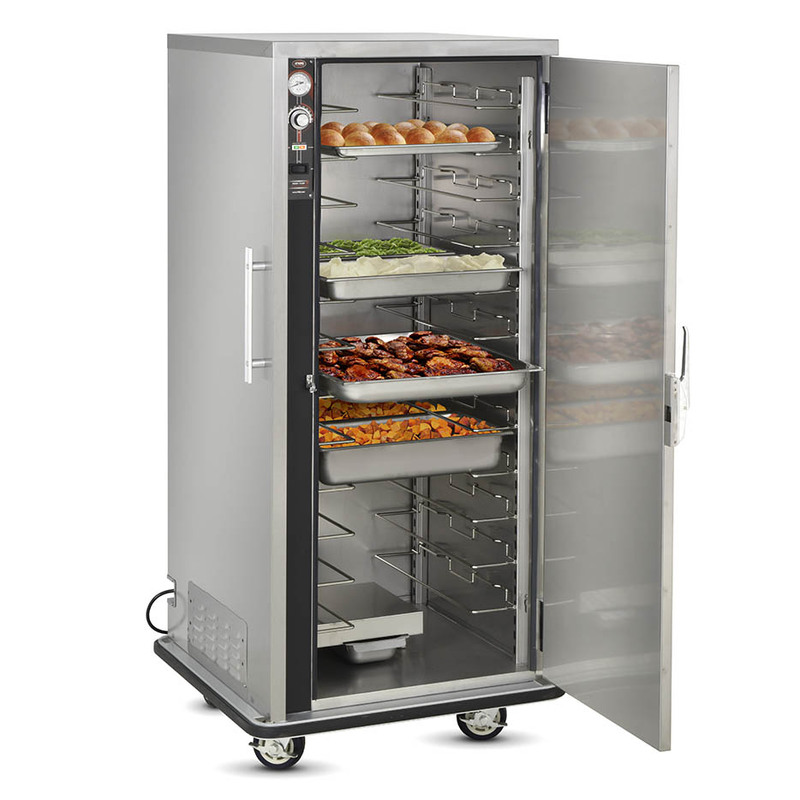 Food Warming Equipment will be in Las Vegas, NV, from July 9th through the 12th. Find us at Booth #1060 at the Mandalay Bay Convention Center. Click here to see a layout! Read below about all the equipment we will be bringing and we hope to see you there! 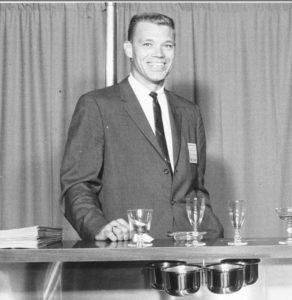 As for the conference itself now running for 71 years, hosts nearly 7,000 people for four days to share the latest innovations, ideas, and practices for the K12 food service industry. The heated serving well keeps hot food warm and refills close at hand. With a soft, radiant, uniform heat that gently surrounds food to provide a better appearance, taste, and longer holding time. Each well and the heated compartment is controlled separately for added versatility. Equipped with a magnetic workflow door handle – operations eliminate the need for latch hardware and provide a cleaner look. Save time and money on replacement parts and maintenance fees; with no moving parts to bind or wear out. 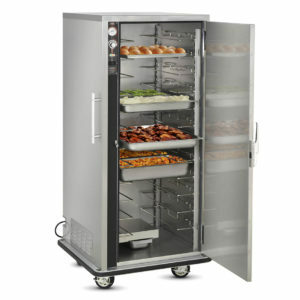 FWE food warmers are used to keep your hot food hot and ready until serving time. Several models from this series will be present like the UHS, PS, and TS units. FWE’s patented Humi-Temp heat and humidity system eliminate hot and cold spots by gently circulating hot, moist air throughout the interior of the cabinet. Models like UHS-12 are energy star approved to help you save money while protecting the environment. Clymate IQ® cabinet shows off FWE’s intuitive climate control. 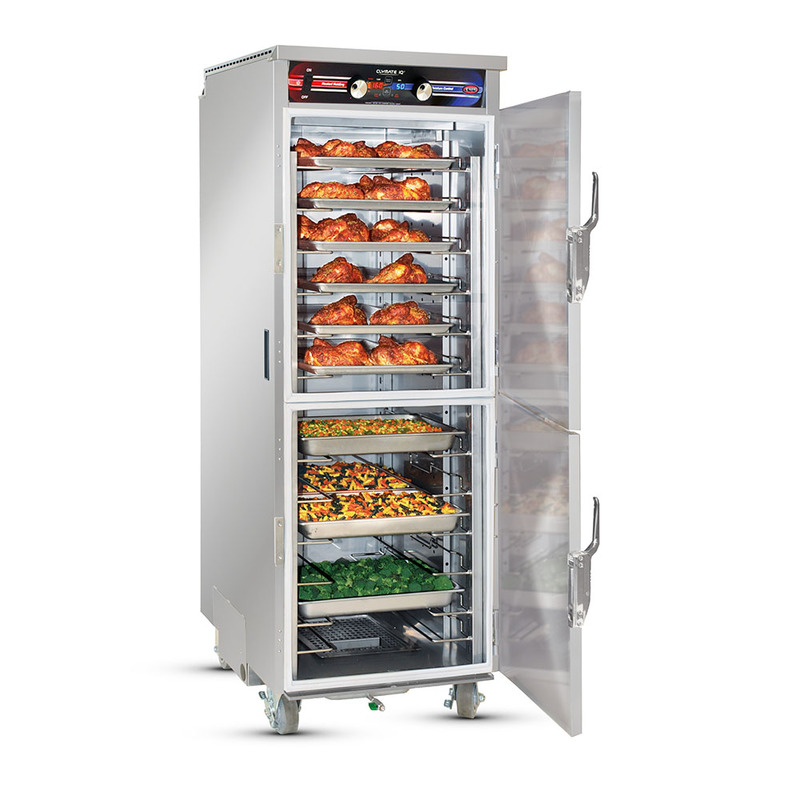 Consistency throughout – All Clymate IQ®cabinets features a unique push/pull air distribution system to provide uniform temperature and humidity on every level, throughout the unit. Fast Recovery – Clymate IQ® gets back to temperature fast – you don’t have to worry about losing heat and humidity if you open and close the door repeatedly during peak service times. Heats up fast – the Clymate IQ® cabinets’ intuitive climate control technology reaches the set humidity faster than the competition. To see new items and features not at the show, join us on our What’s New page over at www.fwe.com/whats-new! In addition to that, your model might be in need of some casters. Our new Caster Page will get you rolling. We will see you at #ANC18! 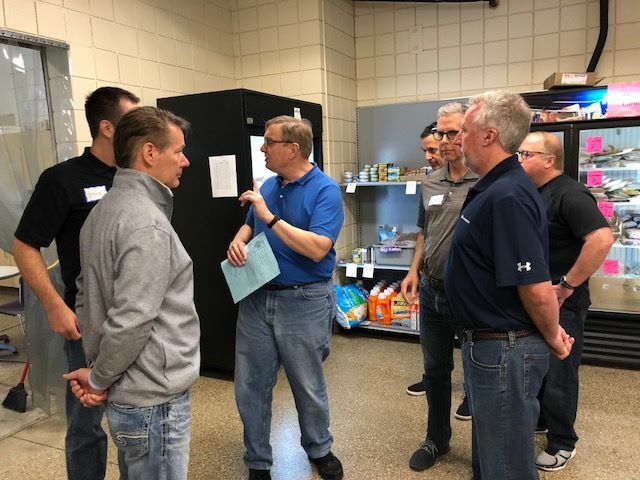 The executive committee receives instructions before starting their day of service at St. Vincent de Paul, Madison, Wisc. Recently, Food Warming Equipment Company’s President, Deron Lichte, and his fellow NAFEM executives took time out of their day to travel to Madison, Wisconsin. 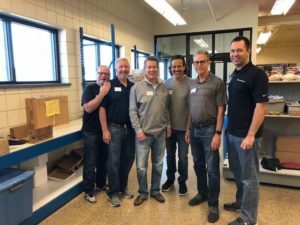 While there they went to the St. Vincent de Paul Food Pantry to volunteer with the staff there. 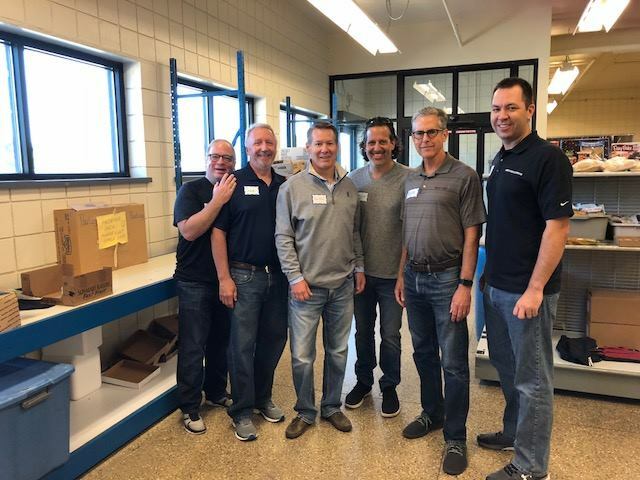 FWE President, Deron Lichte, stands with the other NAFEM Executives as they prepare to volunteer at the Madison St. Vincent de Paul Food Pantry. Deron and the group getting down and cheesy for their volunteer work! 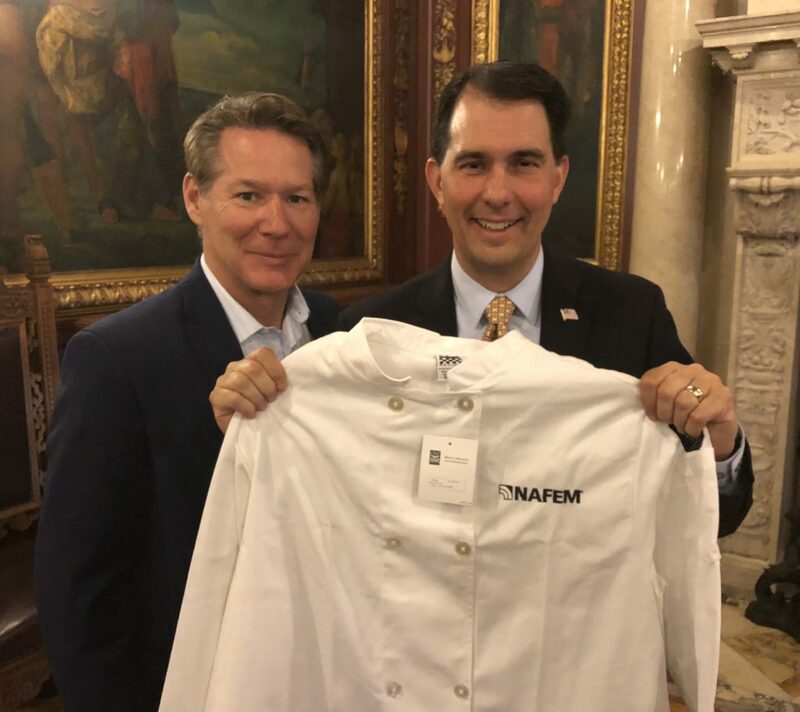 Deron Lichte (L) presents Governor of Wisconsin, Scott Walker (R) with a NAFEM Chef Coat! After getting into some cheesy situations at the food pantry. 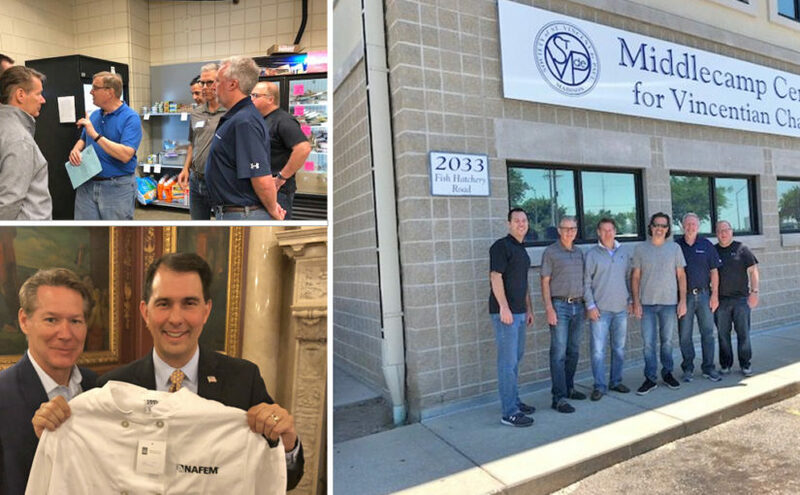 Deron Lichte along with the other executives met with the Governor of Wisconsin, Scott Walker, to discuss the importance of the manufacturing industry to the American economy. FWE is proud to have a President that is not afraid to roll up his sleeves and help his fellow men and women in need. 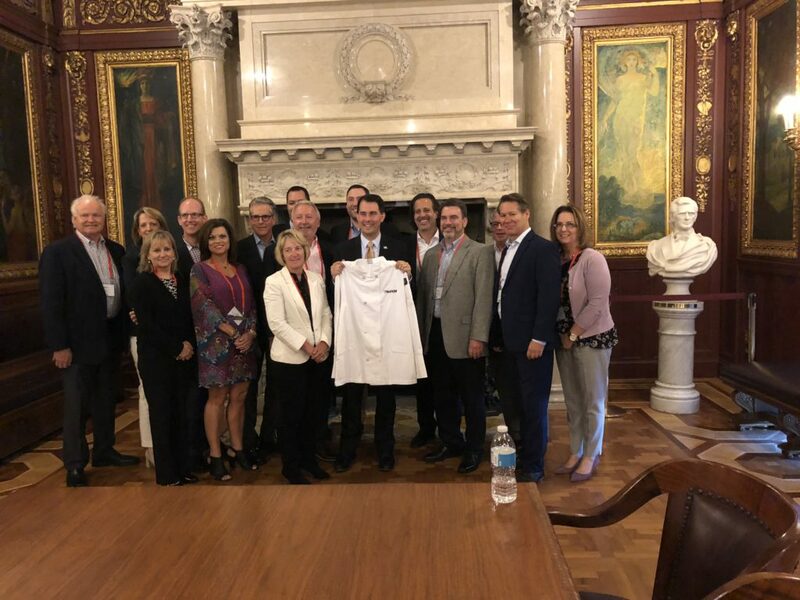 The NAFEM Executive Committee with Scott Walker, Governor of Wisconsin. 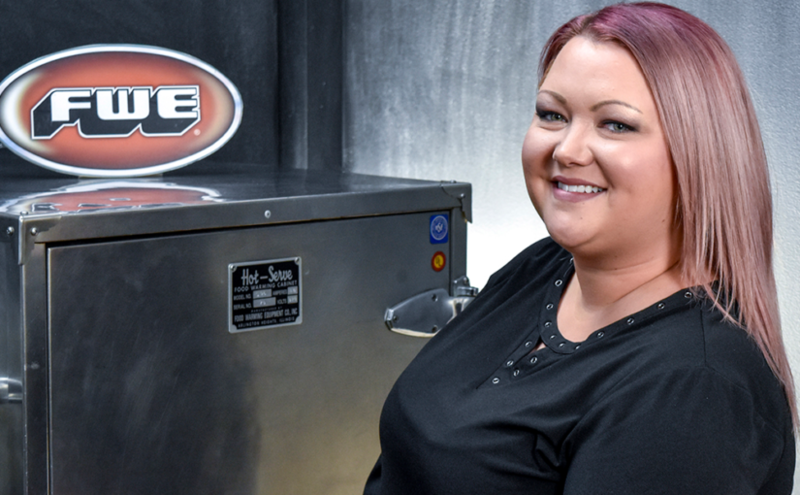 This is Megan Davis, she has been with Food Warming Equipment for over 5 years. When FWE made the move from Crystal Lake, IL to Portland, TN it was not long before Megan joined our team. Working in the customer service department she quickly grew and adapted to the fast-paced operations at FWE! We want to congratulate Megan on becoming our brand new Customer Service Lead! In her new role, she will work more closely with the Customer Service Manager and will ensure that any customer orders go through without a hiccup. Megan Davis was recently promoted to our customer service lead. 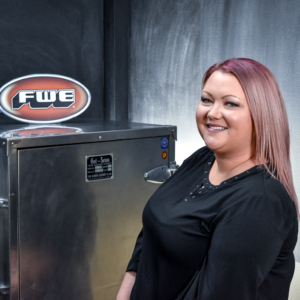 Megan is a wonderful employee, co-worker, mother, and friend to recognize this we spoke with Megan about her time with FWE in Portland and what this promotion means for her. Click HERE to watch our first ever Employee Spotlight on YouTube and don’t forget to subscribe for more spotlights to come! Thank you for all your hard work, Megan and congratulations!